2014 T minus 2 days and counting………..
Today is the day! I will be heading to the first overnight spot today just North of New York City on the Hudson. 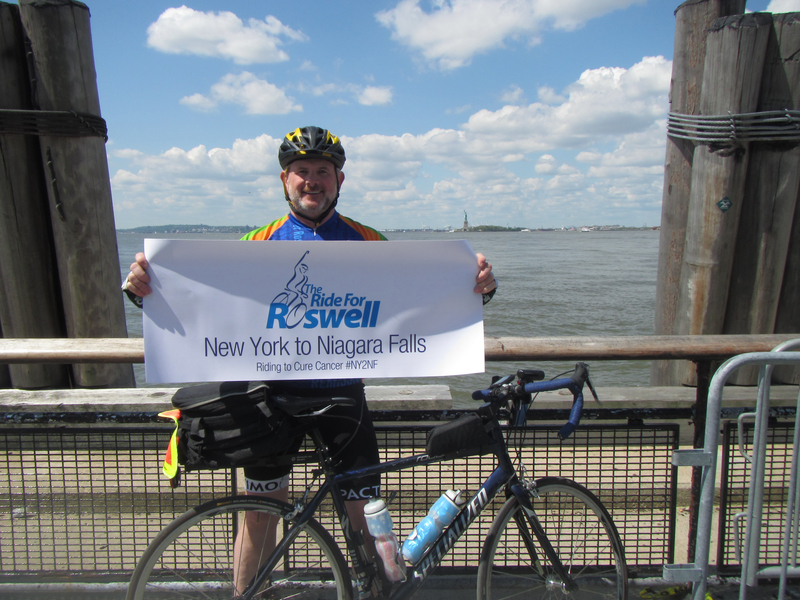 Every year I do my own personal Ride for Roswell either before or after the event. On Sunday, May 18th I will be leaving Battery Park in New York City and begin my journey to Niagara Falls New York. Five hundred beautiful miles through the Empire State along the Hudson River and the Erie Canal. From the Statue of Liberty to the home of our nations first comprehensive cancer research center in Buffalo. I am so tired of cancer and the toll it is taking on my friends, my neighbors and my community. Looking forward to riding, celebrating life and doing something to punch cancer back.